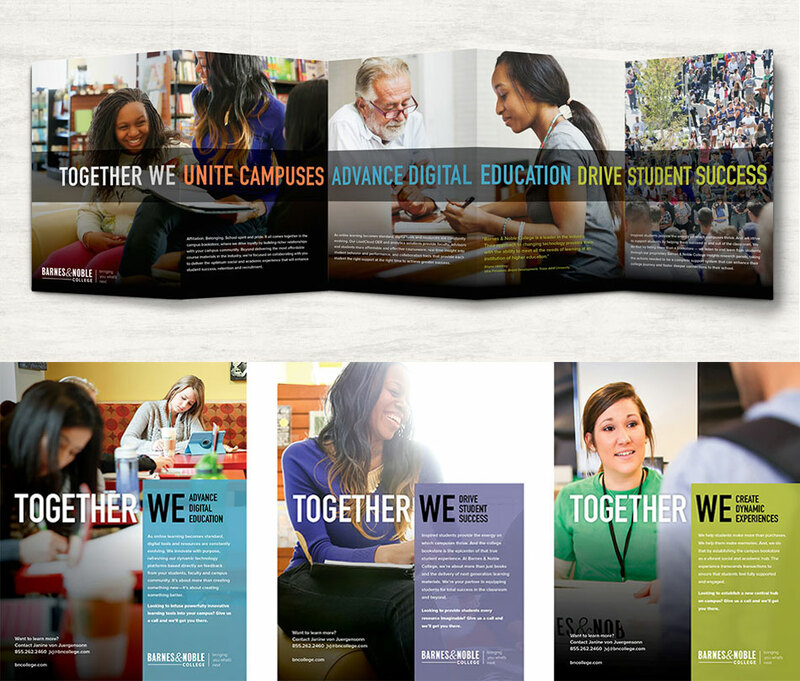 "Together We" can transform the college bookstore. Mounting challenges to improve student outcomes, retention and graduation rates are driving colleges and universities to reshape their social and academic experience. 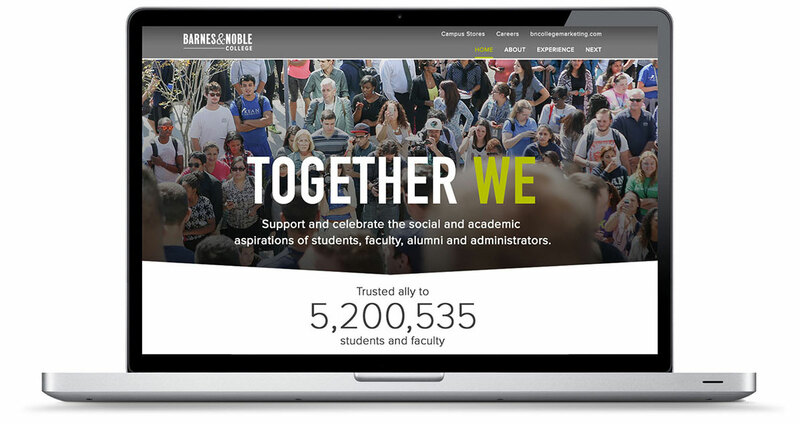 As a key campus partner, Barnes & Noble College (BNC) partnered with Padilla to refine its positioning as more than a retailer, but a complete support system meeting students’ financial, academic and social needs. Using quantitative and qualitative research, our collective teams explored the priorities of campus bookstore decision-makers and students to gain key insights that aligned with BNC’s innovative solutions and value within the industry. The results showed a clear path: highlight the company’s innovative services that enhance the teaching and learning experience and its game-changing solutions that drive student recruitment, retention and financial rewards for its partners. BNC and Padilla launched a multiyear marketing campaign to target and persuade more campus administrators to partner with BNC, as well as deepen relationships with key constituents. The concept “Together We” came to fruition to emphasize the importance of uniting stakeholders across campus around common goals to drive student success. Padilla refreshed BNC’s brand positioning and messaging to reflect how it enhances success for campus partners, students and faculty. With a new graphic identity and messaging platform, Padilla was able to showcase BNC’s deep experience and unmatched understanding of student trends and expectations with campus partners and prospects, industry experts and relevant media. The “Together We” campaign demonstrated that BNC is more than just a bookstore operator – they are a trusted and valued business partner, transcending the role of the traditional campus store by delivering an unmatched retail and learning experience. The campaign exceeded all objectives, including opening 39 new stores in fiscal year 2016. Messaging was shared across top-tier media, including Money, USA Today and The Huffington Post, and key education and marketing trades. And a survey showed that 73 percent of students said BNC performs somewhat or much better than their previous bookstore operator.